An alliance between the local military council and the jihadi ISIL group is keeping the besieging Iraqi army at bay around Falluja, but unless Sunni alienation is addressed, the city risks a new round of devastating conflict. 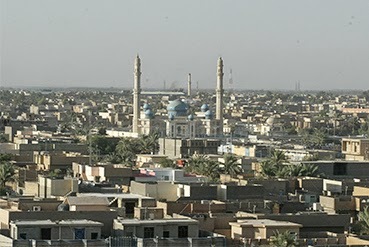 In its latest report, Iraq: Falluja’s Faustian Bargain, the International Crisis Group examines the precarious situation in the Anbar province city that in 2004 experienced the worst fighting of the U.S. occupation. In December 2013, after the police cleared a year-long anti-government sit-in, protesters took to the streets. The army was sent in, and the extremists of the al-Qaeda offshoot Islamic State of Iraq and the Levant (ISIL) took advantage. A self-reinforcing cycle has taken root: jihadi activity encourages government truculence that pushes the city to seek protection from jihadis, whose world-view most residents reject. After Wednesday’s provincial elections, this political and security impasse must be addressed before a miscalculation or calculated escalation produces extensive bloodshed. Prime Minister Nouri al-Maliki, to revive his waning political fortunes, exaggerated, and so exacerbated, Falluja’s threat to national stability. This enabled him to rally Shiites against alleged terrorists, divide and politically neutralise Sunnis, redeem the army’s image as defender of the nation and lobby the international community, with its often myopic terrorism focus. Maliki has staked re-election on a crudely sectarian counter-terrorism campaign from which neither he nor the Sunni political spectrum is likely to retreat. After the 30 April parliamentary elections, the government should work with Falluja’s military council – which itself should repair relations with Sunni rivals – to push ISIL from the city. The Baghdad government, UN and U.S. should distinguish ISIL from the city as a whole and its military council, not bundle them together in an indiscriminate “war on terror”. The Falluja situation is symptomatic of the worsening violence in Iraq, which needs to be seen and addressed for what it is: a consequence of the state’s deep political flaws, not their root cause. “Baghdad has again played up al-Qaeda’s role to justify responding with force to a political challenge. The international community, by and large, backs this approach, partly as a way to hurt al-Qaeda”, notes Crisis Group Iraq analyst Maria Fantappie. “This is empowering the opposition’s most radical voices”. “The elections, at least for the Sunni community, will not be credible, not only because Anbar is a virtual war zone but also because political violence and an obsessive concern with security have warped Iraqi political reality”, says Acting Middle East Program Director Robert Blecher. “Beyond elections, Iraq needs a new political compact to break the cycle of violence tragically exemplified in Falluja”.